• Please allow 10 business days. • We will contact you when your order is ready. • All items are custom-printed and/or embroidered. • Item and embellishment may vary slightly from shown. • All sales are final. No refunds or exchanges. • Please review your order carefully before checking out. Adding this item to your Team or Group order? Collection item/s will be bundled with your Team or Group items. We will not ship the Collection item separately, and we will credit the $8 Shipping charge. 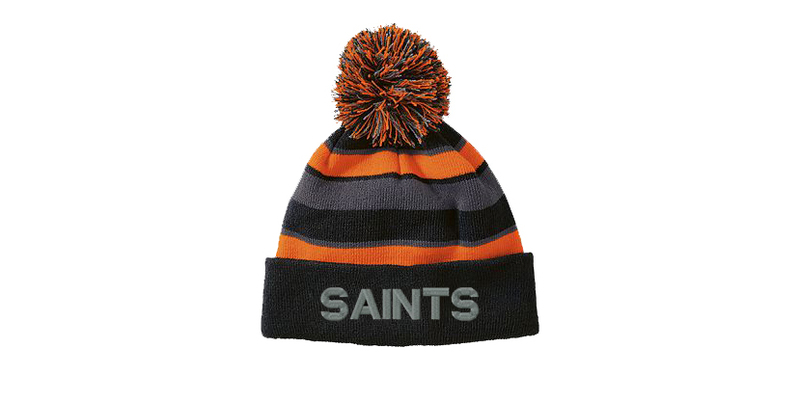 This 100% acrylic knit cap is soft and warm and features a tri-color pom-pom detail on top and a folded hem.